Black Friday may be over, but that doesn’t mean its deals have to be. 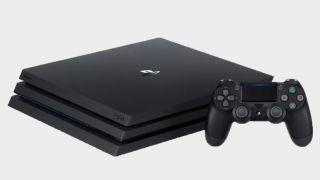 In fact, many of the best PlayStation discounts of this consumer holiday are carrying on through the weekend into Monday, November 26, when all the Cyber Monday PS4 deals kick off. So while you might've missed out on the most killer markdowns of the season, some compelling options still remain. Whether you’re looking to renew your PlayStation Plus membership or you’re in dire need of a spare controller to help you and your siblings survive the upcoming winter festivities with your least favorite relatives, we’ve got you covered. We’ve scanned through all the active Black Friday sales merchants in search of what remains for Sony’s latest console. Games themselves have obviously made the cut, though we’ll admit there are some stellar hardware deals out there as well. Despite the fact that there’s no telling when we’ll see the return of Walmart’s heralded $199 Spider-Man PS4 bundle, the reality is that we’ve seen significant price cuts on other PlayStation products that are just as appetizing. And with Cyber Monday right around the corner, there are bound to be even more. You can't play online without one of these, nor will you have access to the monthly selection of free games, including the Bulletstorm: Full Clip Edition and Yakuza Kiwami for November.